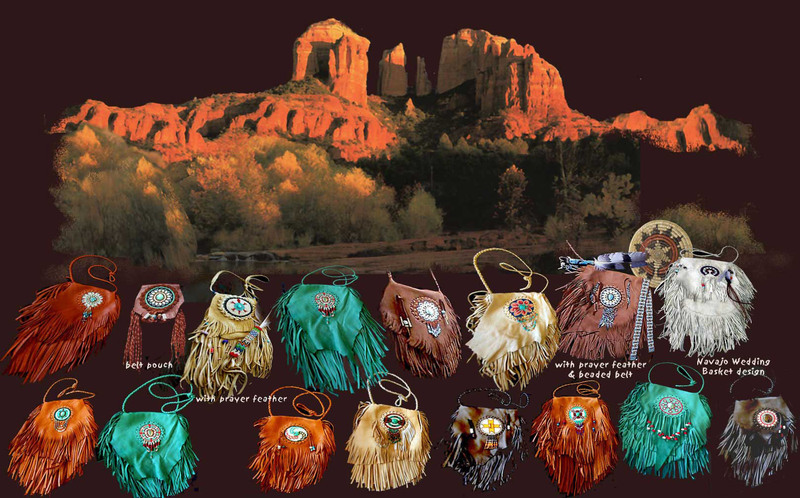 contemporary medicine bags. 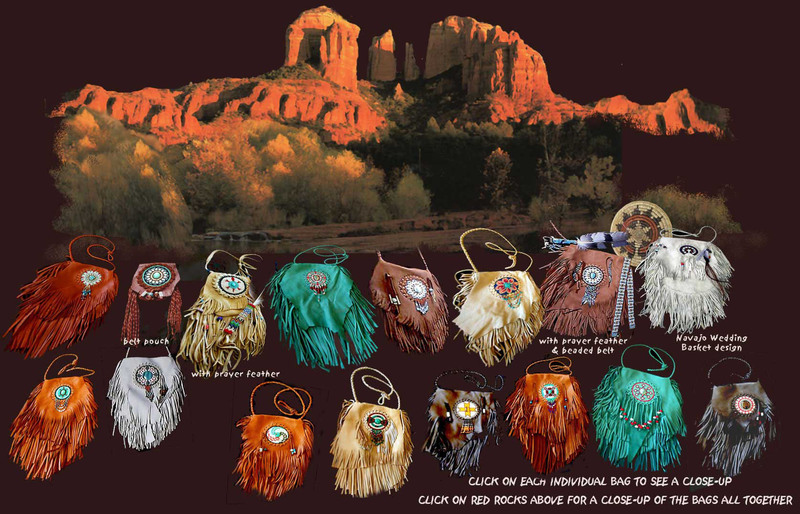 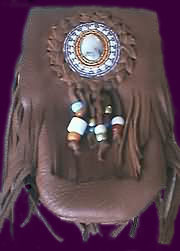 medicine neck bags, belt pouches, etc. 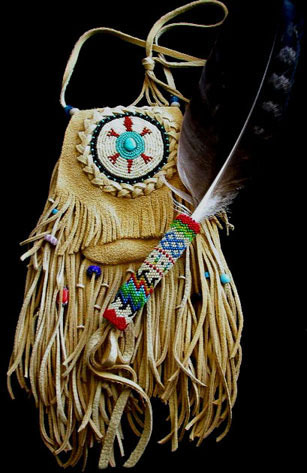 Medicine in the Native American belief is anything that brings one closer to ones connection with himself and his greater source of power. 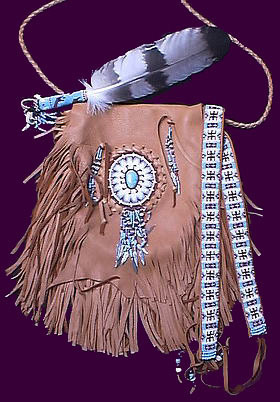 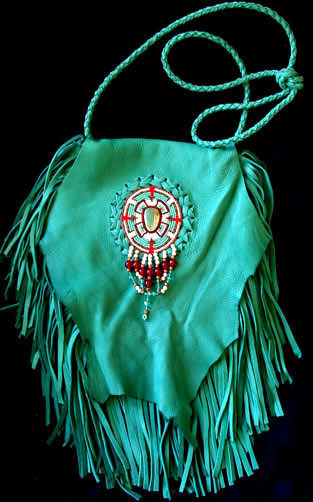 A medicine bag would contain items such as stones, feathers, parts of sacred power animals, and anything else he would draw power from. 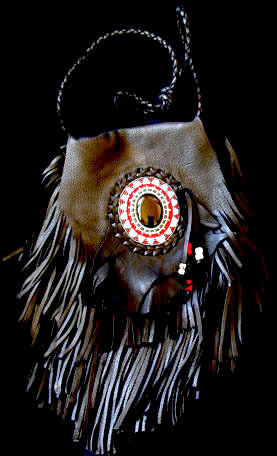 It could contain items from loved ones and/or herbs for healing of the body, mind and spirit. 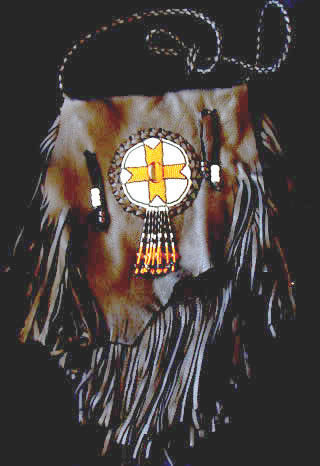 These bags were also used to house their arrows and weapons, peace pipes or flutes. 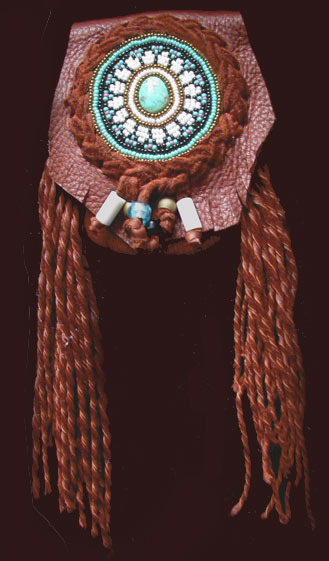 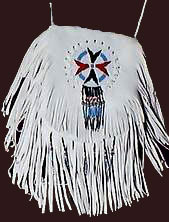 They were decorated in traditional designs done in beadwork or paint. 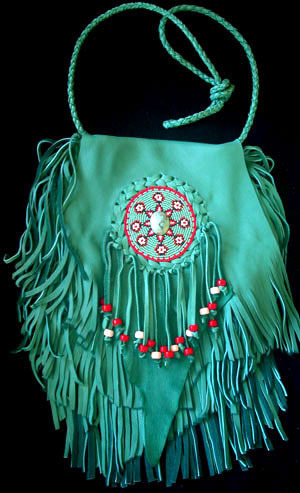 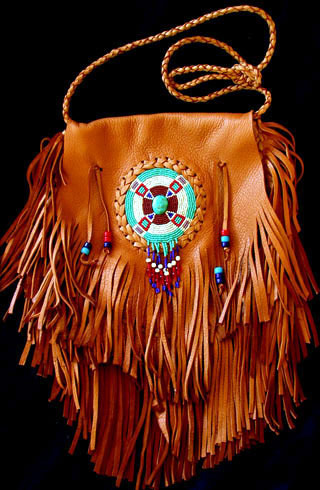 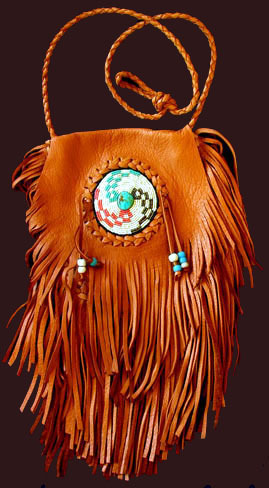 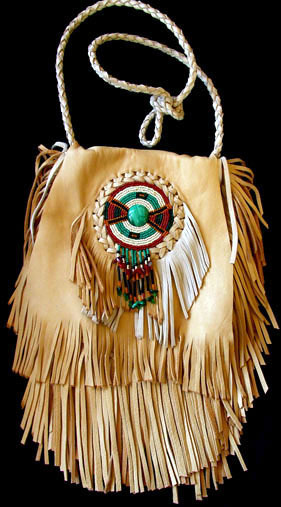 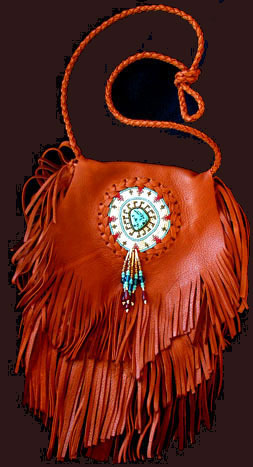 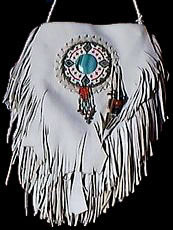 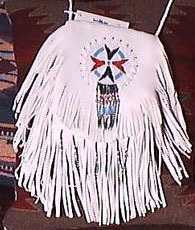 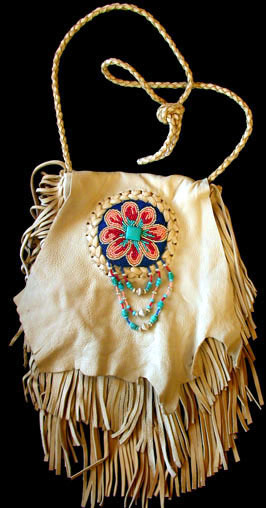 Feathers, hair, leather, teeth, or other parts of animals were also used in the decoration of these bags. 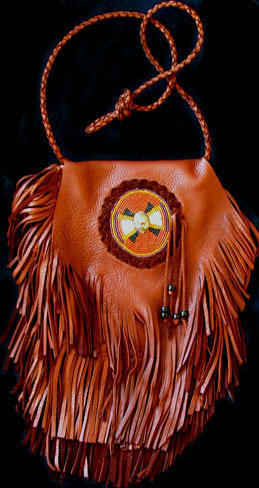 If you would like your medicine bag or a neck bag, etc. 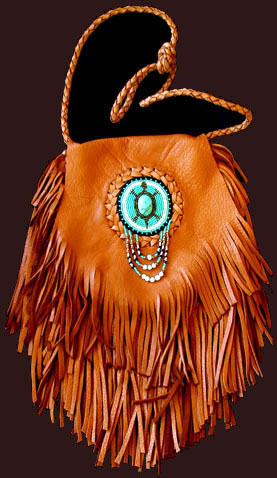 - made to a size not listed - please contact us for a price quote.